With this Spa gift set with Seaweed, Sea Salt and other great natural ingredients you will feel like you are at a high-end spa. Perfect Gift for everyone! This set includes 4 oz Soap with seaweed and sea salt, 4oz Body Butter with Camelina Oil, 2 oz Facial mask with seaweed and Bath Bomb with seaweed and salt. The scent is wonderful and relaxing. These products soften your skin and makes it feel healthy. 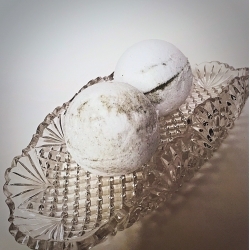 This homemade natural Chocolate Bath Bomb with Cocoa powder and Epsom Salt is a perfect way to relax on chilly evenings. 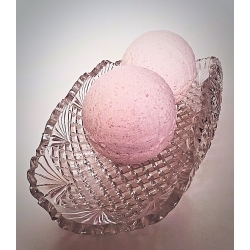 This handmade natural Choco Bath Bomb would be a great gift for Valentine day or any other occasion. While you are in the bath, drop one in and treat yourself to a relaxing spa treatment at home. 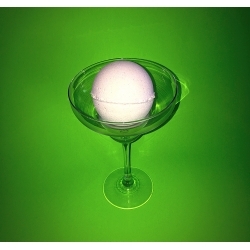 How to use: Run a warm bath, drop a bath bomb in the water, relax and enjoy! 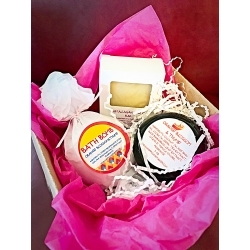 Coconut Gift set - including 4 oz of Coconut Soap with poppy seeds, Coconut whipped body butter and Coconut Bath Bomb. This gift box is perfect to give for any occasion. 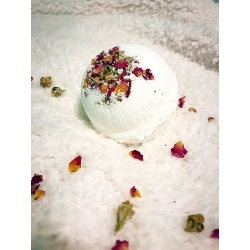 It is filled with wonderful, natural moisturizing products. Description of all products you can find in my website. 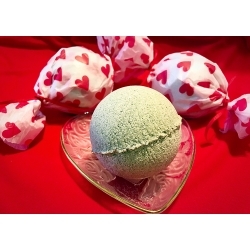 Fifty Shades Valentine Bath Bomb is the perfect Valentine treat for you and your beloved! Smells delicious - a seductive marriage of tainted rose and wild geranium with addictive, "can't live without it" notes of bergamot and gold amber. For great color I used Sea Clay. Pamper yourself in a full range of Bath and Body Care with this Lavender set. 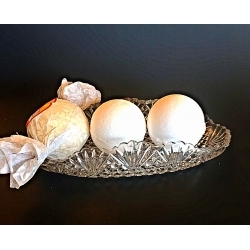 Spa Set includes 4 oz Soap, 4 oz Body Butter and Bath Bomb. Perfect gift of quality spa products of Aromatherapy and relaxation. You will save 15% buying these products together. 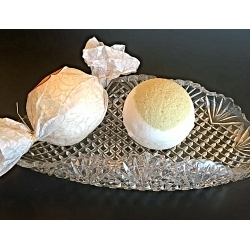 End your day with a bathtub treat and enjoy in relaxing oatmeal, milk, & honey bath! Free of colorant, only natural ingredients including oatmeal colloidal. This natural bath fizzy contains Sea Salt and Sea Clay which will draw impurities from the skin, provide mineral nourishment, relax and exfoliate. 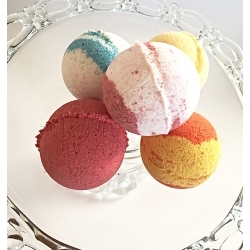 This bath bomb is scented with Ocean Water type fragrance oil (sparkling citrus notes married with marine essence and lily). 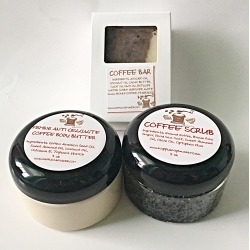 Looking for a ready to go Gift of all natural homemade Bath&Body products? This Peppermint Gift is perfect for anyone! It contains 4oz of Peppermint Soap, 4 oz Peppermint Pumice Soap Scrub, 4 oz of Peppermint Body Oil, 1 Peppermint Lip balm. You will save 10% buying these products together. 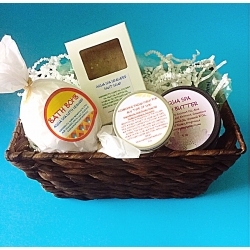 This Rose gift basket includes everything you need for smooth skin: Soap, Bath Bomb, Body Butter and Lip Balm. 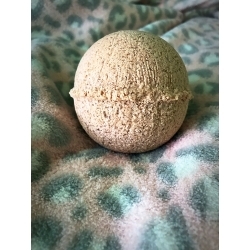 Get that ocean breeze fresh scent with Seaweed Bath Bomb, scented with Natural Seaweed and Aqua Spa сlean and crisp fragrance. Free of colorant, only natural ingredients.